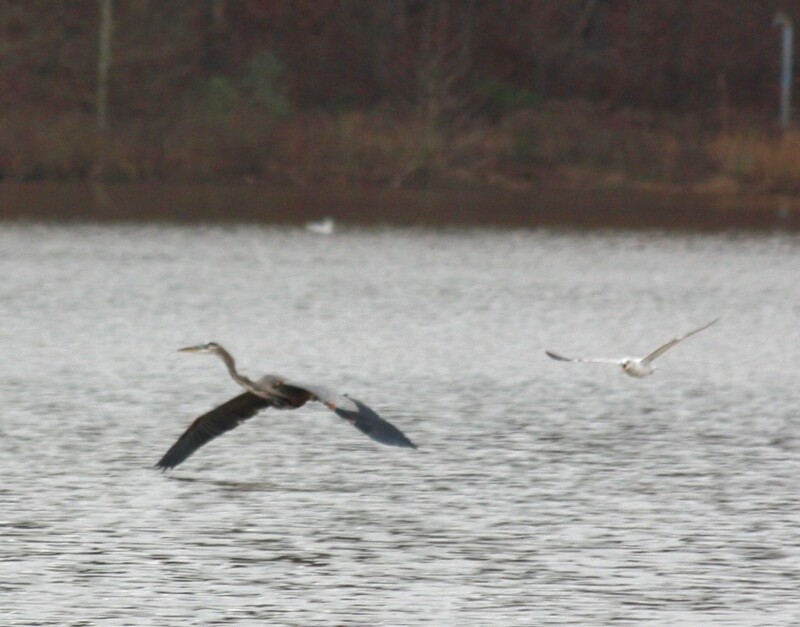 December 26 at Crabtree Lake – While fishing with my brother in law and the kids, we got to see an example of a gull chasing a Great Blue Heron. 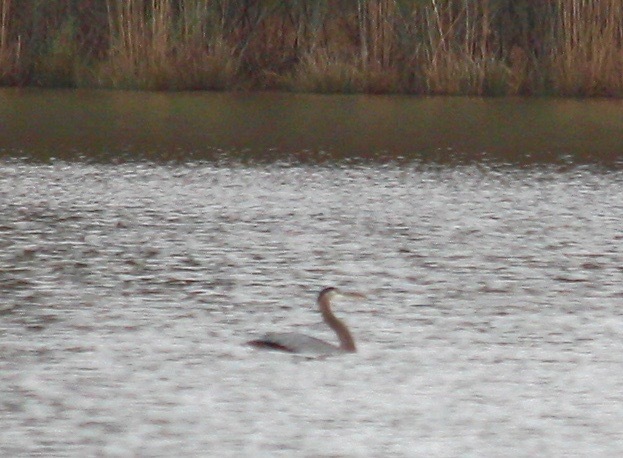 I first noticed a Great Blue Heron sitting on the water, like a large goose. I didn’t know Herons sat on the water, but accounts from both Wikipedia and All About Birds confirm this. 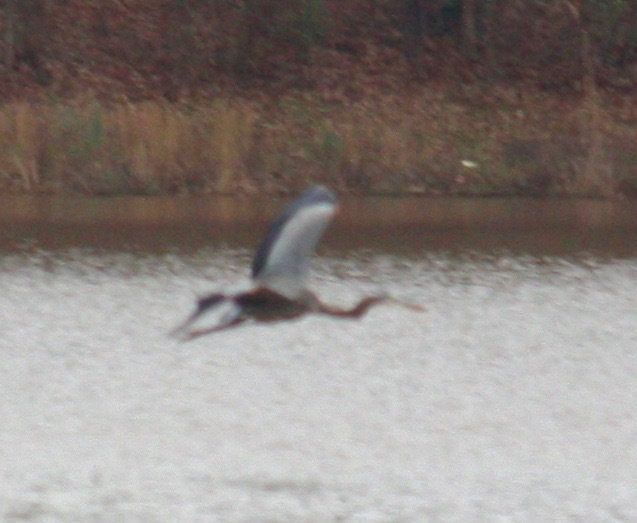 The heron then flew off, headed for the far shore. Suddenly a very vocal gull flew at the heron. 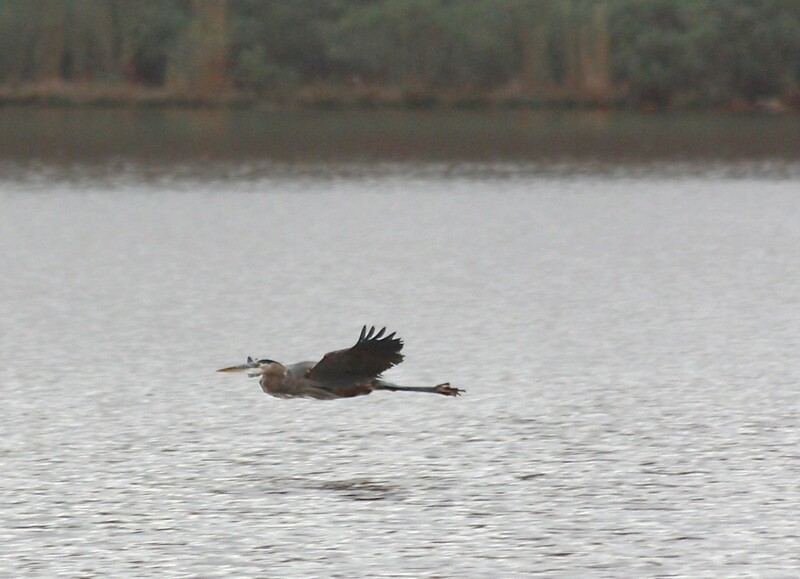 The heron wheeled around and headed back toward our shore. The gull continued to chase it a bit more then turned back, and the heron locked its wings into a glide.